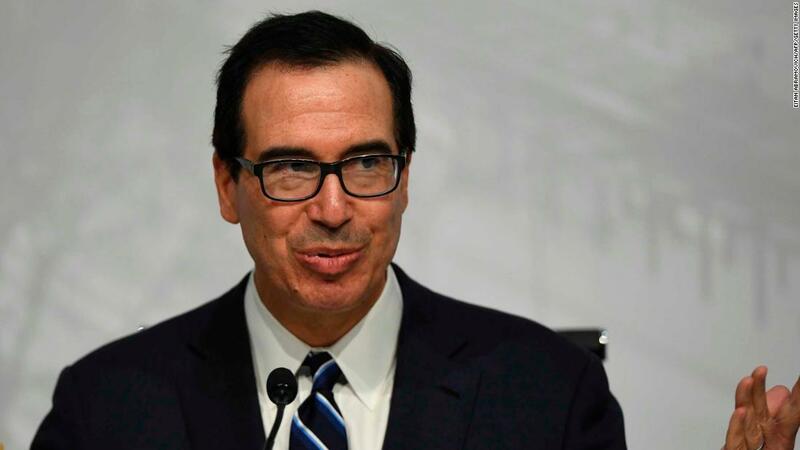 (CNN) Facing pressure from President Donald Trump to stabilize nervous equity markets, Treasury Secretary Steven Mnuchin publicly declared this weekend that his boss wasn’t planning to fire the Federal Reserve chairman and that markets have enough liquidity for lending. The series of events amplified the anxiety emanating from the White House over shaky markets — and the effect they could have on Trump’s political standing. An unusual statement issued by the Treasury Department on Sunday declaring major bank CEOs told Mnuchin by phone they had “ample liquidity” to lend only furthered the notion the administration is working to tamp down a crisis that doesn’t yet exist — and in the process is raising concerns that are shaking markets further. Liquidity is the term used to refer to the ability of banks to lend money to clients. The CEOs who spoke individually by phone Sunday with Mnuchin were “totally baffled” by the sessions, according to a person familiar with the calls, who said the executives found the encounters puzzling and largely unnecessary. “It was totally out of left field and an odd thing to do,” the person said, describing the timing of the calls — on a Sunday ahead of Christmas before markets opened — as strange. After Mnuchin asked on his calls whether their banks were seeing any liquidity issues, the executives all replied they were not. Later, the treasury secretary asked whether there were any other issues going on that the executives might see as affecting the markets, according to the person. Another person familiar with the matter said the secretary took the initiative to reach out to the CEOs. One of the CEOs responded by saying political noise from Washington — including trade fears, the departure of Defense Secretary James Mattis and the government shutdown — were among the drivers causing concern in the markets. Mnuchin was in “listening mode,” the person said, and the calls were not described as contentious. Afterward, there was a belief among some executives that Mnuchin was attempting to assert himself, to show he was in charge, and to soothe markets all during a vacation in Mexico that was garnering criticism because it came in the middle of a government shutdown (Mnuchin traveled on a commercial plane and was spending time with his children). 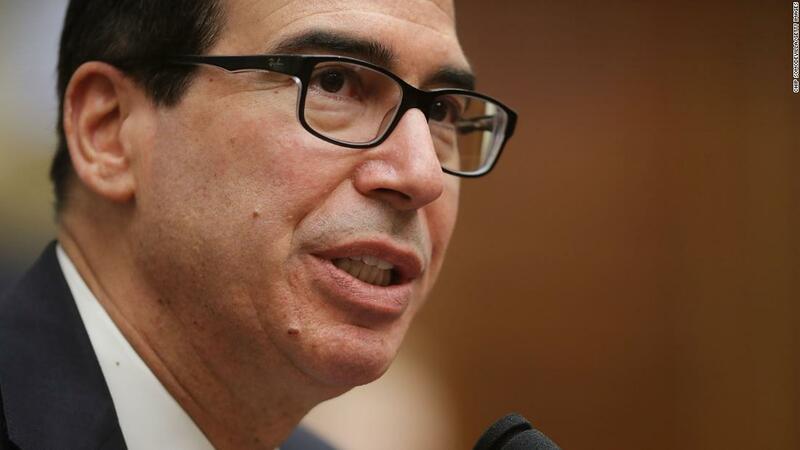 Mnuchin calling CEOs and issuing the statement was a “pre-emptive measure” after last week’s market volatility, according to a Treasury official. “This was meant to be a reassuring step and it was consistent with what the Secretary thought bankers would say,” the official said. But some of the bank executives and analysts were taken aback by the public nature of the Treasury statement reading out the calls — which placed the liquidity matter front and center, when in fact there is no real crisis at hand. Rep. Maxine Waters, a California Democrat who’s the ranking member of the House Financial Services Committee, called Mnuchin’s actions “erratic” in a statement released late Monday. Mnuchin convened a roughly 15-minute call on Monday with the President’s Working Group on financial markets, which includes the chairman of the Federal Reserve and top market and business regulators, to ensure all the agencies were well-coordinated to monitor markets appropriately during the government shutdown, according to a source familiar with the matter. The secretary’s calls Sunday to the big bank CEOs came after a turbulent week on Wall Street and were described as a “prudent check-in” with major market participants of how they thought the economy was performing. Seiberg noted it’s normal for the treasury secretary to talk to the biggest banks after a week of stock market turmoil, but he views the calls to bank CEOs and convening the call with regulators as a sign that the market needs reassuring about liquidity, margin and clearing. “It raises the question of why Treasury needs to reassure if everything is okay,” Seiberg wrote. Trump has directed much of his frustrations over the markets on his treasury secretary, according to a person familiar with the matter, who said Trump has vented that Mnuchin’s recommendation of Jerome Powell for the chairmanship of the Federal Reserve was a fateful mistake. Trump has told some advisers that he views selecting Powell the worst decision of his entire presidency. But beyond that, Trump has complained more broadly that Mnuchin isn’t doing enough to stabilize markets, the person said, viewing recent plunges as a sign his team hasn’t assured investors of the economy’s strength. Trump was particularly frustrated that a tentative trade deal with China on tariffs did not provide a boost in the markets — something Mnuchin and other advisers said would happen if an agreement was struck. The central object of Trump’s frustration remains Powell, who last week announced another hike in the Fed’s benchmark interest rate. The move, widely expected, caused markets to tumble. Trump is not alone in his criticism of the rate hikes; many economists say there is little economic reason to keep increasing rates. Yet Trump has taken outsized umbrage at the moves, deeming them designed to damage him politically. He’s taken to scrutinizing Wall Street fluctuations as a barometer of his political standing, and has asked his advisers whether dips in the market will harm his re-election prospects. His frustrations have risen so high that Trump has asked his team whether he has the legal authority to fire Powell — a move that Mnuchin, among others, has worked hurriedly to prevent. Mnuchin has been working for the past several days to convince Trump that he cannot fire his Fed chairman — both from a legal standpoint and to avoid further market turmoil. Speaking on ABC’s “This Week” Sunday, incoming acting chief of staff Mick Mulvaney said Trump “now realizes he does not have the authority” to fire Powell — a suggestion the issue had recently been raised. Trump, however, still believes Powell is to blame for the instability and wants to ensure he’s getting the message. He’s raised the possibility of sending an envoy to meet with Powell directly, according to the person familiar. And while Mnuchin has encouraged Trump that any moves toward firing or downgrading Powell would be catastrophic, some other White House advisers have taken a less grave view, which has given Trump an opening to discuss it.